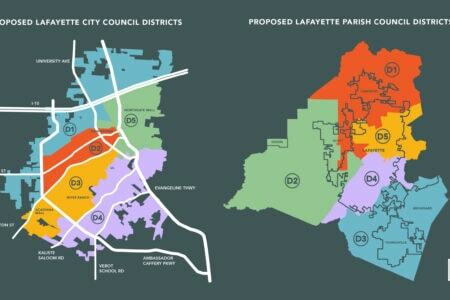 Lafayette and south Louisiana are in a race against time. The size, scope and intensity of the August 2016 floods stunned the region. More than 20 inches of rain fell in parts of Lafayette Parish, even more in some of the outlying parishes. Thousands of businesses were damaged here; 40,000 workers were at least temporarily displaced. Floodwaters soaked or destroyed nearly 2,000 homes. Another flood is coming. The timing is uncertain, but the trends that produced the 2016 flood — a warming Gulf of Mexico, more moisture in the air, ongoing commercial and residential development that produces stormwater runoff — continue unabated. 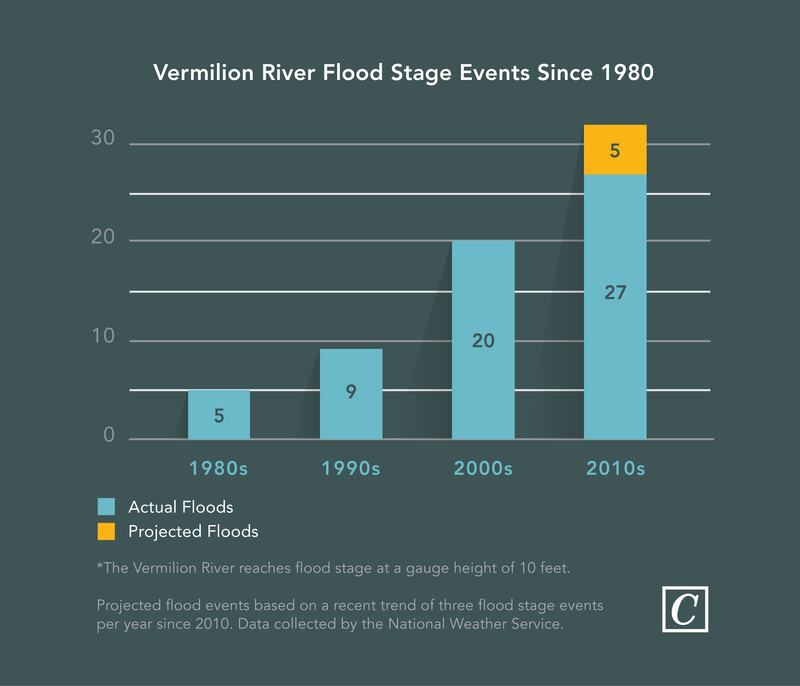 The Vermilion River is projected to crest 32 times this decade. That’s seven times more than it hit flood stage in the 1980s. The trend seems unlikely to reverse. The August 2016 flood was not the worst flood in Lafayette history. That distinction falls to the August 1940 flood that produced an estimated 24.87-foot flood stage on the river. The rains were the product of a slow-moving, unnamed hurricane. The difference between the 1940 flood and the 2016 flood was the number of people affected. In 1940, the population of Lafayette Parish was 43,941. In 2016, it was closer to 240,000. Population growth brings development and changes in land use. In 1940, Lafayette was primarily an agricultural parish. We are no longer. Where and how we’ve grown amplified the impact of the rains that inundated us in August 2016. It also revealed the true costs that urbanization of generally low, flat lands was exacting on the parish. Before August 2016, those costs were largely hidden. In August 2016 the costs became explicit. In a 1998 study of the Vermilion River, Gary Kinsland, a professor in UL Lafayette’s School of Geosciences, noted the impact that urbanization was having on the parish. The primary evidence he saw was a steady increase in flooding along the Vermilion. The key concept in understanding urbanization hinges on the word “imperviousness” — think roofs, driveways, parking lots and streets that replaced fields. “Whenever natural terrain is covered with impervious surface [pavement, concrete or roofs] or is more efficiently drained via grading of lots, addition of ditches or improvement of coulees, the demand on the Vermilion River to accommodate runoff water is increased,” Kinsland wrote presciently in that paper. In an interview, Kinsland says his paper was largely ignored by local business and political leaders. A comprehensive drainage plan for the parish, started prior to the August 2016 flood and released in May 2017, reveals that there was little or no coordination between Lafayette Consolidated Government and the parish municipalities — Broussard, Carencro, Duson, Scott and Youngsville — on regional drainage. Parish development codes were not updated even as commercial and residential construction increased drainage needs in the parish. The 2017 Lafayette Parish Areawide Drainage Plan included an inventory and assessment of drainage projects in the parish along with a record of flooding in Lafayette Parish over the past 20 years. The project was funded through the U.S. Army Corps of Engineers. Pam Granger, a contract engineer for Youngsville who took a lead role in the study, worked for several years on water management issues in Florida before returning to Louisiana. While working on the drainage plan, she discovered that Lafayette Parish’s political leadership had long failed to recognize the havoc created by urbanization and ignored best practices from other states. Granger was shocked. Two things are clear about the 2016 flood: First, development exacerbated a historic storm’s impact; second, there was so much rain that no amount of mitigation or preparedness could have eliminated the damage. In the aftermath of the 2016 flood, public angst over the city’s years of inaction on clogged coulees boiled over each time it rained — “rainxiety” became the operating term. Mayor Joel Robideaux reacted. He asked for voter approval to transfer $9 million in under-utilized health unit and mosquito control funds into drainage improvements and rededicate some of the public health tax millage to drainage projects. Shortly after the areawide drainage plan (which included a damning critique of the lack of leadership on drainage from LCG) was released, Robideaux proposed the tax swap and committed all of it to getting the parish’s network of coulees and laterals in working order. Robideaux’s tax swap won voter approval in November. The transfer will put an additional $2.5 million into LCG drainage each year (bringing total funding to $10 million), a drop in the bucket when compared to the additional $30 million-plus in drainage needs Robideaux says the parish has. Robideaux publicly described the LCG project list as “an effort to restore public trust” — a first step required before he could take more meaningful and expensive action. 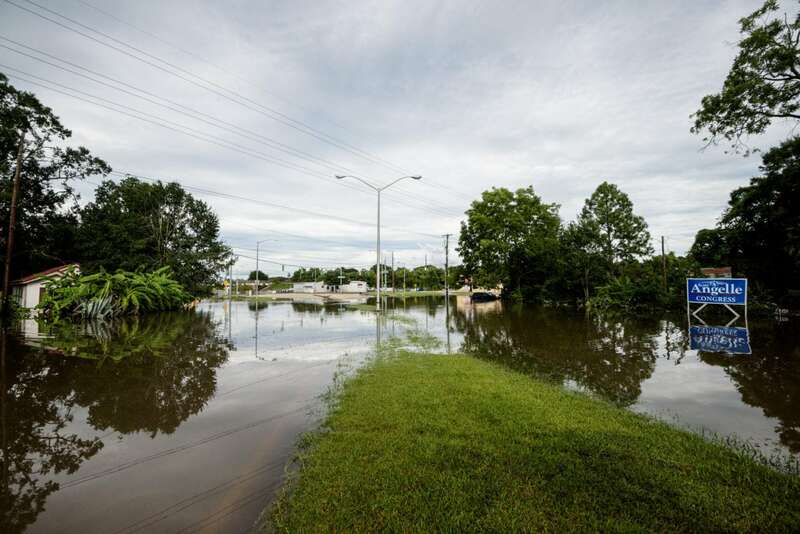 In an interview after his February press conference announcing the projects, Robideaux made clear that the projects on that list are not the scale and scope of the projects needed to improve the parish’s ability to handle large rain events. But big money came in the form of a $25 million federal hazard mitigation grant awarded to the region in August 2017 by Gov. John Bel Edwards. The only string attached to the money (other than the need for some matching funds) was that it be used on an agreed-upon regional list of projects. The funds are administered by the Acadiana Planning Commission. Robideaux and LCG Public Works Director Mark DuBroc announced their list of maintenance and improvement projects Feb. 8. The APC announced a list of projects Feb. 20. The public has been looking for results since then. LCG’s projects consist of mainly catching up on maintenance and clearing work on coulees and bayous in the parish. The APC projects in Lafayette focus primarily on the construction of detention ponds, as well as some drainage improvements on key bayous and coulees in the western and southern parts of the parish. Before the end of the year, work will be underway on more than $25 million in drainage and flood mitigation projects in Lafayette Parish. The projects funded by the APC focus on stormwater detention (holding flood waters until a storm event subsides) and coulee and bayou improvements in the western and southern parts of the parish. What some experts fear, however, is that LCG’s coulee work will result in a more efficient coulee system that could worsen flooding on the Vermilion by getting more water to that slow-flowing tidal river faster. A call to dredge the Vermilion for the first time since 1957 has begun to circulate. Youngsville’s Granger wants to see it dredged. Environmental activists met with 3rd District U.S. Rep. Clay Higgins in late March, seeking the lawmaker’s help on obtaining an emergency appropriation that would pay for the U.S. Army Corps of Engineers to do it. 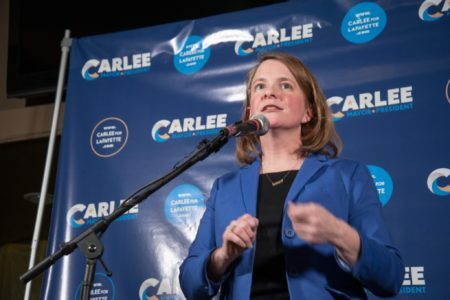 A spokeswoman for the Corps, Tracy Falk, says 2021 would be the earliest federal budget cycle in which a proposal to dredge the Vermilion could be included under normal budget processes. Dredging the Vermilion raises contamination concerns. Emile Ancelet, water quality specialist with the Bayou Vermilion District, worries that dredging the river could stir up industrial and bacteriological contamination that might now be buried under silt in the river. With work on mitigation and drainage ramping up but work on the Vermilion as much as three years off, Lafayette could find itself in the worst of both worlds. Stormwater runoff will be able to get to the river faster, but where will it go from there? River flooding could actually worsen. In the coming months, The Current will dedicate substantial editorial resources to covering how Lafayette will grapple with the threat of the next storm. We’ll talk with engineers, academics and activists about how geography and geology have shaped our past and constrain our options. We’ll look at how the unintended consequences of prior drainage and flood protection efforts worsened the impact of the 2016 flood. We’ll examine the work underway that’s purported to address the enduring threat of disaster. We’ll probe whether Lafayette has found a successful approach or stumbled into a repeating history. We’ll also keep an eye on the Gulf of Mexico. It’s important to remember that the flood of August 2016 was the result of a slow moving low pressure area that formed in the Gulf, not a hurricane or tropical storm. It could be a sign of things to come. It’s going to rain in Lafayette. So long as the city grows, development will continue, expanding the amplifying conditions that made 2016 a catastrophe. The next storm is coming. Whether Lafayette can take it is yet to be seen. Let’s at least not continue to make old mistakes. For example, the I-49 Connector proposal would add hunreds of well drained and impervious surface with all the runoff going to the Vermilion. At a minimum, the state should have to include the same retention ponds that a private development would have to build. The Louisiana DOTD isn’t required to follow local drainage ordinances, but we should insist that they do not worsen our flooding risk just because they can legally ignore us.